Maungdaw -- Two Rohingya women have been detained by the Myanmar Police over the allegation of illegally returning to the country from the Bangladesh Refugee Camps, according to reliable sources. 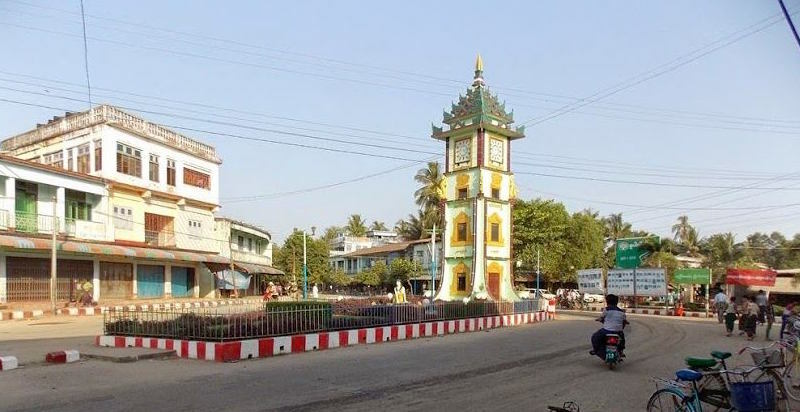 The women were detained by the Myanmar anti-trafficking police on May 12, while crossing the bridge of Shujah (Shwe Zar) village in northern Maungdaw. However, it has been learnt that the women were simply returning home from Bangladesh after having emergency medical surgeries and treatments (in Bangladesh). "4 months ago, Ma Sufaira, 22, d/o U Mohammed Nasim, from 'Maung Ni hamlet of Myoma Kayintan village,' suffered from bone-fracture in her arm and went to Bangladesh for surgery. The doctor fixed the bone by inserting steel-plate and asked her to re-visit him after 4 months to remove the plate. "Now, 4 months after, on May 12, as Sufaira along with her sister was returning from Bangladesh after having the 2nd surgery to remove the steel-plate, their taxi was stopped by the anti-trafficking police led by Captain San Min while they were crossing 'the Shujah (Shwe Zar) Bridge' under the allegation of returning home from the refugee camps illegally. The police arrested the 2 women and released the taxi driver after extorting Kyat 100,000. They (the women) have been detained in the Maungdaw Police Detention since then," said a local in Maungdaw. Our attempts to reach to the Maungdaw Police for comments on this have remained unsuccessful. However, further reports have verified the CLAIM -- that the 2 women were not the refugees in Bangladesh camps but returning their home after having medical treatments and surgeries in Bangladesh -- with the FACT that they took part in the 'Census (Head-counts)' conducted by the authorities against the Rohingya population in Maungdaw District in 2018 (after over 700,000 people fled to Bangladesh to escape from genocidal violence against Rohingya in 2017). Furthermore, 2 Rohingya men -- U Yunose, 48, s/o U Khin Maung and U Lala Yar, 33 -- from Myoma Taung Quarter (Quarter 2) returned home after having medical treatments in Bangladesh last week. Two days after their return, Police Captain San Min, the same police officer that has now arrested the 2 women, extorted Kyat 350,000 each from them after accusing them of illegally returning home from the Bangladesh refugee camps. A human rights activist in Maungdaw anonymously said "these people are not illegally returning home from the Bangladesh camps. They all took part in the Census (head-counts). Since the government has denied the Rohingya people from access to medical treatments and healthcare, the people need to go to Bangladesh for that. That's the purpose why these people also have gone to Bangladesh and subsequently returned. "But the enforcement authorities are knowingly persecuting the Rohingya people and extorting money from them. Above all, what's so ILLEGAL for one in returning to his/her HOME?" 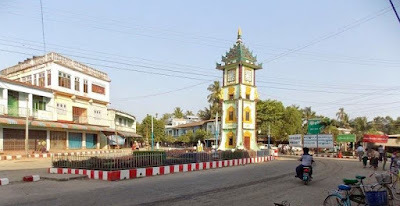 The Myanmar Government has barred the Rohingya people in Maungdaw District from travelling to Sittwe (Akyab) and Yangon, Myanmar's (unofficial) Capital, even in the case of medical emergency since 2012. Therefore, Rohingya people with chronic diseases and medical emergencies, they need to go to Bangladesh for treatments and surgeries.